Costs – Find the average prices for tree removal, tree maintenance and stump removal here! FAQs – If you need more information before investing in trees, the complete list of trees to plant or NOT plant in Chandler is right in this central locale. Services – Get more information from a Chandler arborist today! How Much Do Tree Services Cost in Chandler? 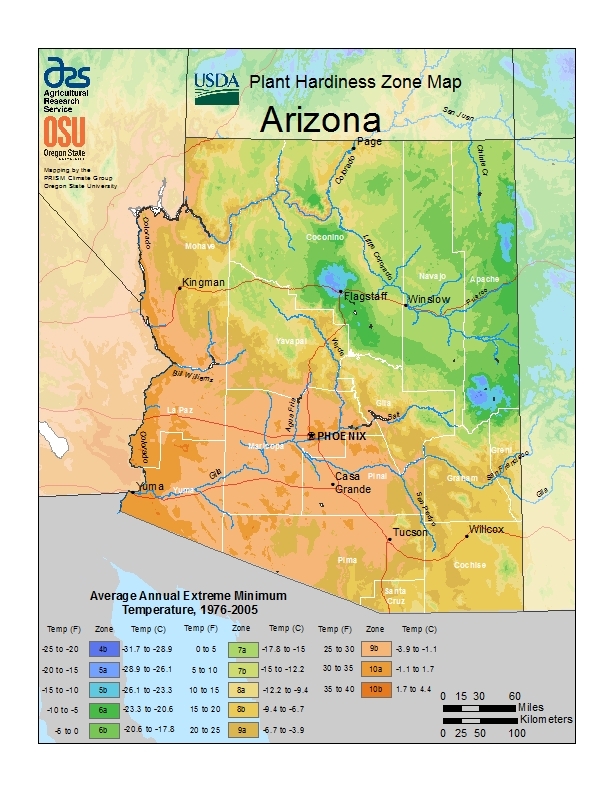 The desert climate in Chandler, Arizona is hot and dry, with an average annual rainfall of only seven inches. On the average, there are 297 sunny days per year. Trees can help make your property look more attractive and add privacy. However, there are valid reasons for removing a tree. This guide provides a breakdown of the average tree removal costs in Chandler. To remove a tree totally from your home or business in Chandler, online estimates give residents a range of $236 to $578, with an average cost of $350. It is important to remember that all tree removal projects vary significantly. For instance, if the tree requires less special equipment for the removal process or it is thin, it may only cost around $150. By contrast, removing a tree near a house or power lines could cost closer to $995. When you need to grind a stump down to the ground, estimates range between $100 and $300. However, removing the stump costs between $300 and $435. It costs more because of the amount of work it takes to dig out the roots beneath it and the landscaping necessary to repair the area after removing the stump. Prices in Chandler for trimming tree branches near power lines, pruning to control diseases, or docking dead branches in the winter to prepare for new growth in the spring range between $450 and $600. The rates depend on the condition and height of the trees, particular tools required, and the time needed to handle the issues. The average cost most Chandler tree owners will pay for routine maintenance is approximately $530. The health benefits of trees include improving our overall well-being in addition to providing a calm setting for recreation and outdoor activities. To guarantee that the city remains a vibrant, dense area for future generations, here are some Chandler regulations concerning tree removal and tips for the best trees to cultivate in the region. Tree removal regulations in Chandler yield a year-round schedule of planting, removal, tree trimming and stump removal of street and park trees to produce and support a healthy, safe and plentiful tree population. Removal is a requirement for trees that are diseased, dead or show other safety hazards before they become dangerous. Due to the pleasant weather in Chandler, routine removals, stump grinding and trimming are performed all year long. As summer approaches and temperatures rise into the triple digits, removing a problem tree is recommended. 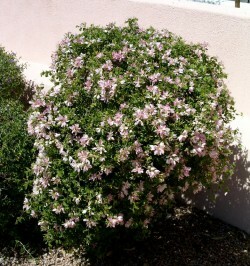 Also, a correctly trimmed tree is more likely to endure the extreme winds during the summer monsoon season in Chandler. Public sidewalks, streets and alleyways must have clear visibility, so trees cannot block their use. Trees must be maintained 13.5 feet above the alleyway or street and seven feet above public sidewalks. The Blue Palo Verde (Parkinsonia florida) was named in 1954 as Arizona’s state tree. The rapidly growing small tree produces blue-green leaves, which it sheds after a heavy rainfall. The flowers are bright yellow and pea-like, and bloom in early spring and summer. The shortest trees in Chandler include the Japanese boxwood, a slow growing evergreen with a height of about three feet. The tallest tree is a Douglas fir, standing at 112 feet tall in 2014. Ficus nitida is Chandler’s most popular evergreen and easily grows to a perfect, clean shape. They handle the summer heat remarkably well, making them a great addition to any landscape. Sissoo tree closely resembles an Aspen, grows rapidly after planting and thrives in ultra-hot conditions. 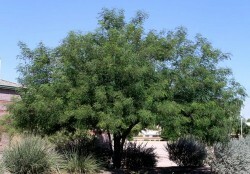 Chilean mesquite is a top-selling, quick-growing desert tree that provides an abundance of shade. Museum Palo Verde provides unique green trunks, grows fast, blooms strong and has no thorns. Jacaranda is a purple flowering tree seen across the southern United States. It grows fast and provides a filtered, soft shade with beautiful blooms. Fruit trees thrive in Chandler’s hot, desert climate. The most popular varieties include orange, lemon, grapefruit, tangelo, nectarine and plum trees. Other fruit tree favorites, such as kumquat, peach, lime, apple, tangerine and apricot will also produce spectacular, flavorful and aromatic fruit. There is more to consider about choosing the ideal tree than just low water consumption or quick growth. For example, the African sumac and Eucalyptus trees grow quickly and are frost resistant, but they can crowd out indigenous trees. Also, their frequent leaf droppings clog ventilation intakes in cars and box in telephone and power lines. Various diseases affecting trees in Chandler include pine tree disease, Queen palm disease, citrus disease, mesquite tree disease and Palo Verde disease. The Tumbleweed Tree Lighting ceremony has attracted Chandler residents and visitors for more than a half century. Approximately 2,000 tumbleweeds are combined and decorated with 1,200 lights, 65 pounds of glitter and 25 pounds of colored paint.